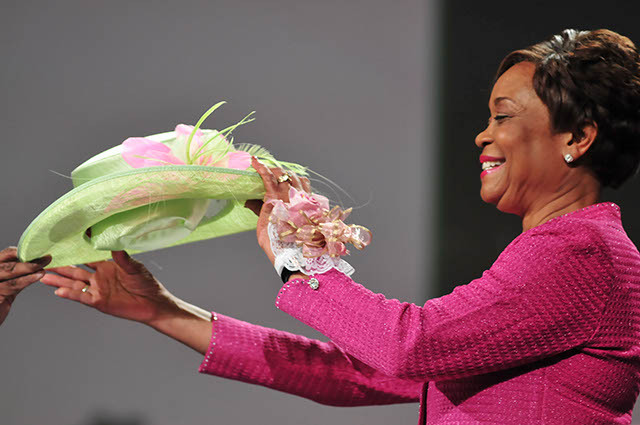 Over 10,000 members of Alpha Kappa Alpha Sorority, Inc. (AKA) attended the organization’s international convention July 21-27 in San Francisco – its 65th Boulé – honoring unsung women heroes of the Civil Rights Movement and a spirit of community service. Event highlights included a golf tournament, economic forum, public meeting, and several organizational meetings and workshops. Awards were given to honorees whose lives and entrepreneurial efforts were devoted to public service. Among those who were recognized were NAACP Chairman Roslyn M. Brock; Harry E. Johnson, Sr., who led the successful campaign to build the King Memorial on the National Mall; Administrator of the Environmental Protection Agency Lisa Jackson; actor and comedian Cedric “The Entertainer”; Nigeria’s Minister of Petroleum Resources Diezani Allison-Madueke; and founder of “Black Girls Rock” Beverly Bond. Those pictured include young and old, local and national, and of course pink and green! Looking good sorors! For more information on Alpha Kappa Alpha Sorority, Inc, please visit the organization’s official website at http://www.aka1908.org.